Puerto Vallarta is a charming seaside town on the western coast of Mexico. The vibrant colors of ocean, sky, flowering shrubs, and trees abound. Brightly colored flowers surround the Spanish style buildings with their characteristic red roofs. 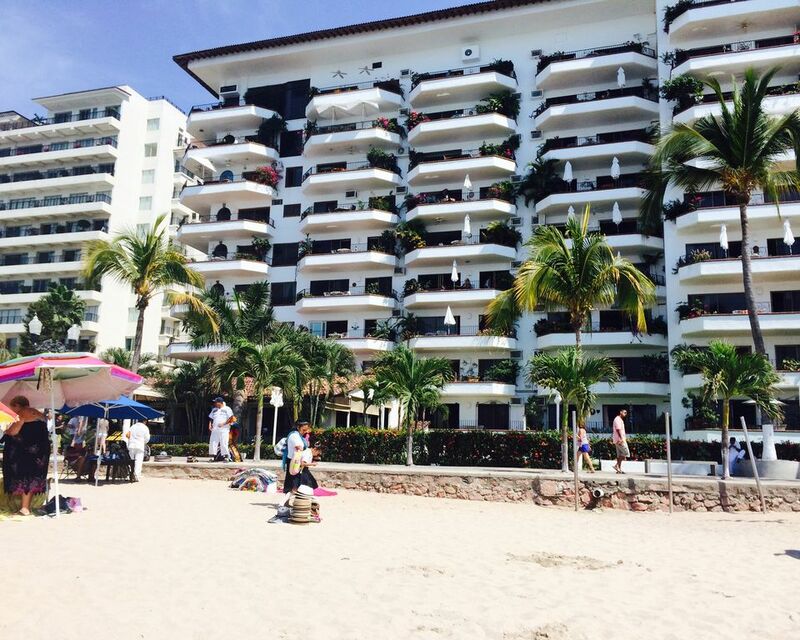 Because of the tropical climate, the living in Puerto Vallarta is a blend of outdoors and in. Music abounds in Puerto Vallarta. One can find mariachis and other musicians just about everywhere in clubs, restaurants or by the beach. The town is safe for strolling, both day and night. On Sunday nights you can join the families of Puerto Vallarta as they enjoy walking along the Malecon or as they listen to a band concert in the town square. Departing every day from the Marina are a variety of boat trips. You can go to Yelapa, a small fishing village south of Puerto Vallarta which can only be reached by water, or join the folks on the schooner Maragalante for a dinner cruise and fireworks or snorkel the waters around the Mariettas Islands. Or you just might choose to sit on your deck, overlooking the Bahia de Banderas and do nothing but read and relax. For the sports minded there is golf, tennis, and horseback riding, as well as other activities. You can enjoy all of this and more from our beachfront condominium at the Villas Vista del Sol, on the southern end of old town Puerto Vallarta. It is located near the river Cuale and within walking distance of a food market, the Malecon, many find restaurants, craft shops, and art galleries. Our condominium integrates outside and in with its flower theme. It is light, airy and cheerful; the perfect spot for a relaxing and fun vacation. There are two bedrooms, two full baths, a completely outfitted kitchen, dining room, living room with TV and deck. Maid service is provided every day but Sunday. Laundry facilities are available on a reservation basis. The roof holds a good sized pool, lounge chairs, and a covered area in which to gather when the sun is particularly hot. Sunsets in Puerto Vallarta are a changing palette which you can view from the deck or the rooftop pool while relaxing with refreshments, companions or family. Enjoy! WiFi. Password situated on router in master bedroom. This beachfront condo is located in the heart of the Zona Romantica within walking distance to many great restaurants, art galleries and shops. There are so many daytime outdoor activities - you're sure to find whatever you like. The nightlife offers something for everyone whether it's taking in the gorgeous sunset at a beachfront dinner, the festivities and people-watching along the Malecon or checking out one of the numerous bars or clubs. There is a car rental agency just a few doors down from the building which makes doing day trips easy. The old mining town of San Sebastian is in the mountains, you can visit the beachtown of Sayulita to the north and the near-empty beaches of the Costalegre to the south.